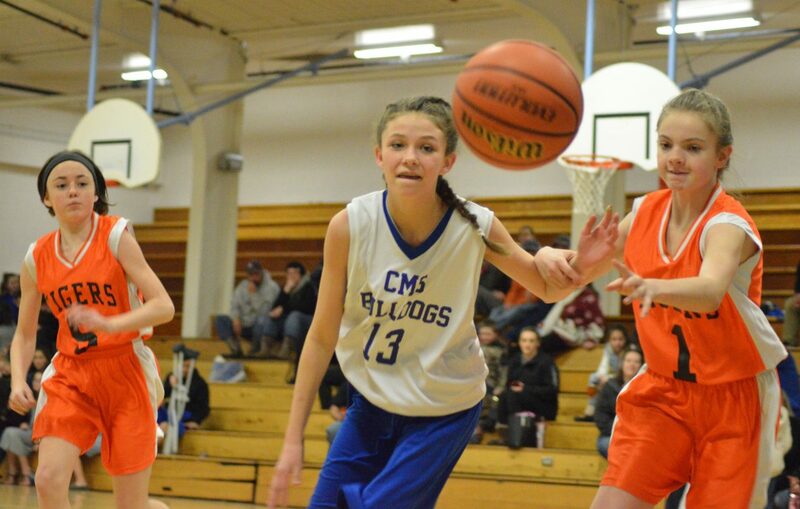 Craig Middle School's Jordis White goes in for the layup against Hayden. 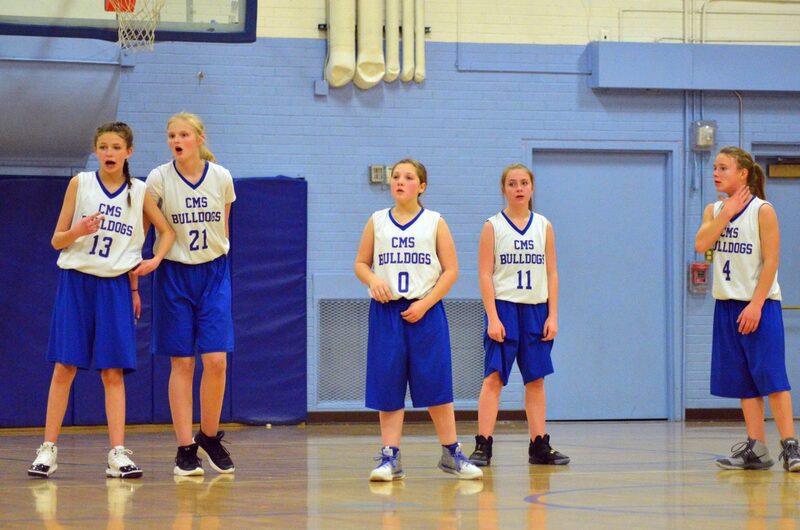 From left, Craig Middle School's Mattie Richards, Hannah Crookston, Abby Martinez, Jordis White, and Kiersten Chambers size up the opposition during a timeout against Hayden. 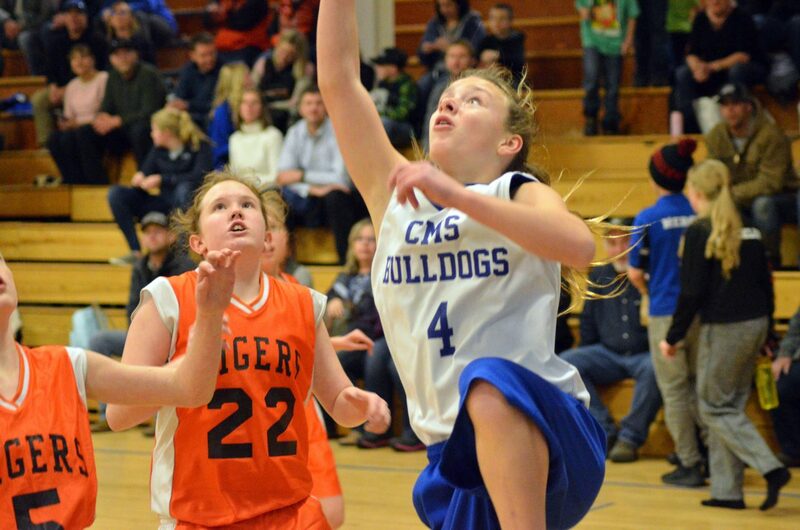 Craig Middle School's Megan Neton closes in on a layup against Hayden. 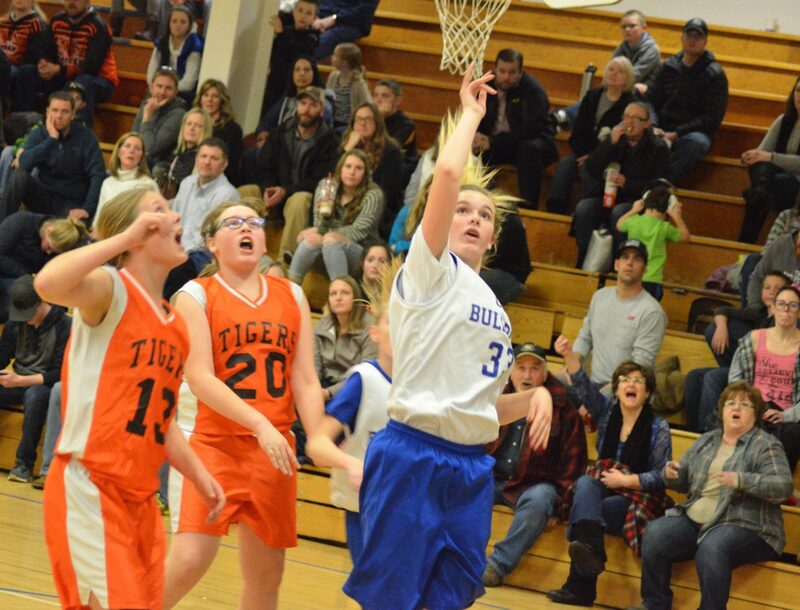 Craig Middle School's Hannah Crookston takes a shot from the high post against Hayden. 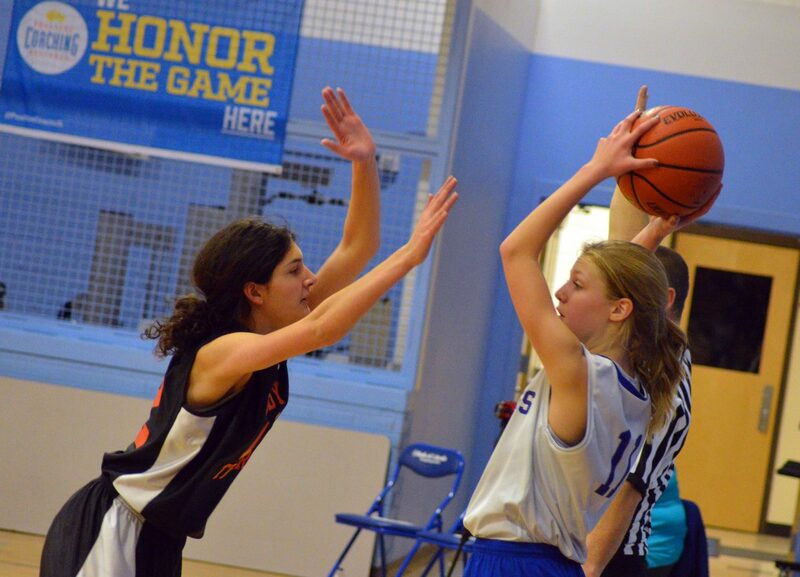 Craig Middle School's Nancy Nunez races to the rim against Hayden. 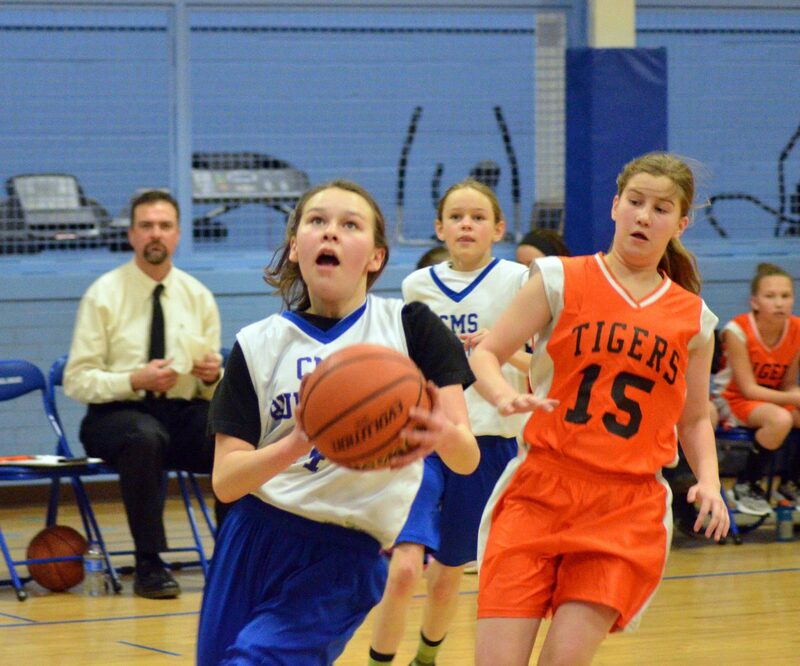 Craig Middle School's Lacy Stockman gets a shot loose against Hayden. 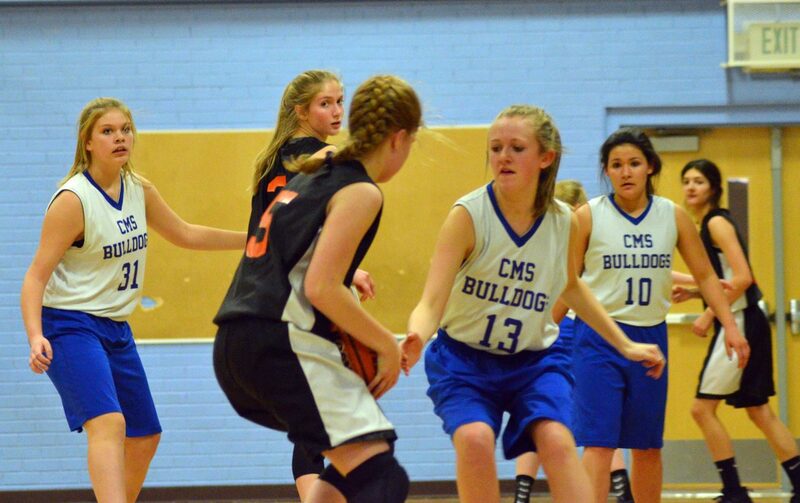 Craig Middle School's Mattie Richards goes after the ball against Hayden. 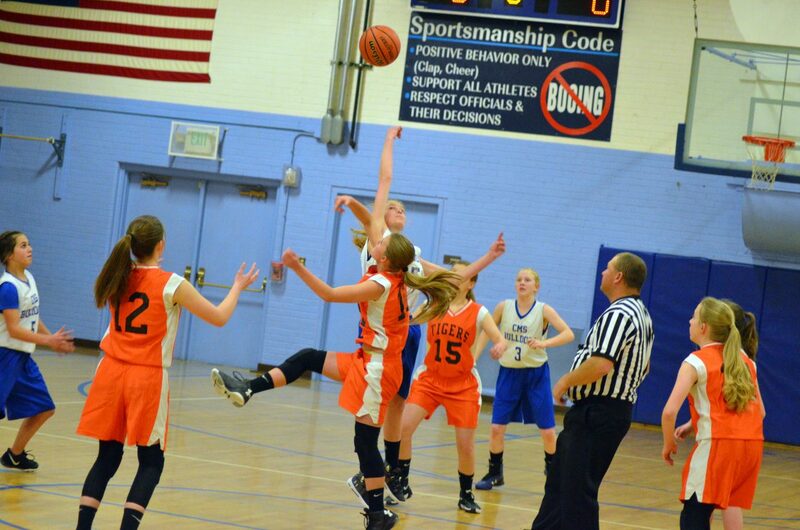 Craig Middle School's Megan Neton pulls down a rebound and readies to go up for another shot against Hayden. 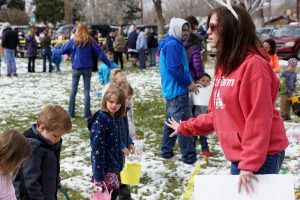 Craig Middle School's Antonia Vasquez charges in against Hayden. 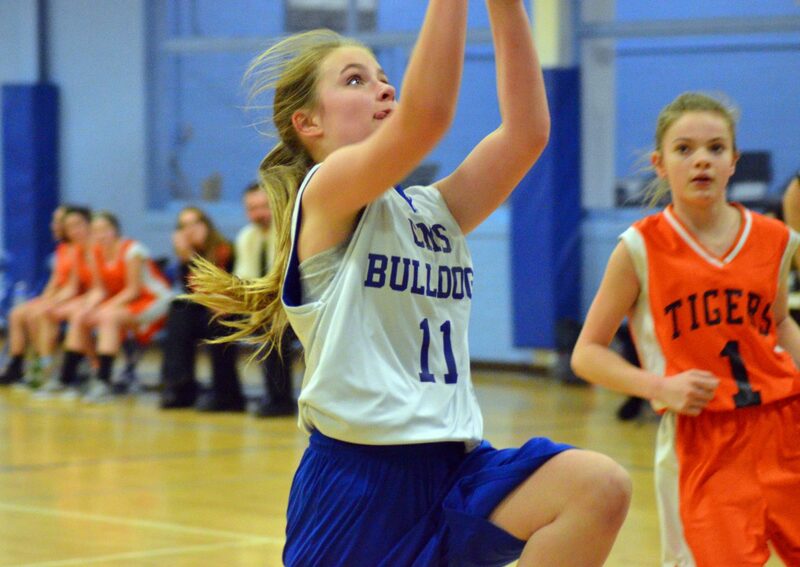 Craig Middle School basketball players converge as Hayden's Emma Seagrave takes a jump shot. 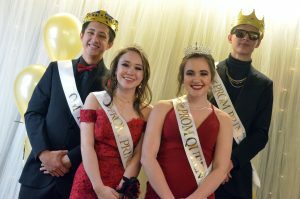 Craig Middle School's Antonia Vasquez, left, and Quincy Lowe shut down the Hayden offense. 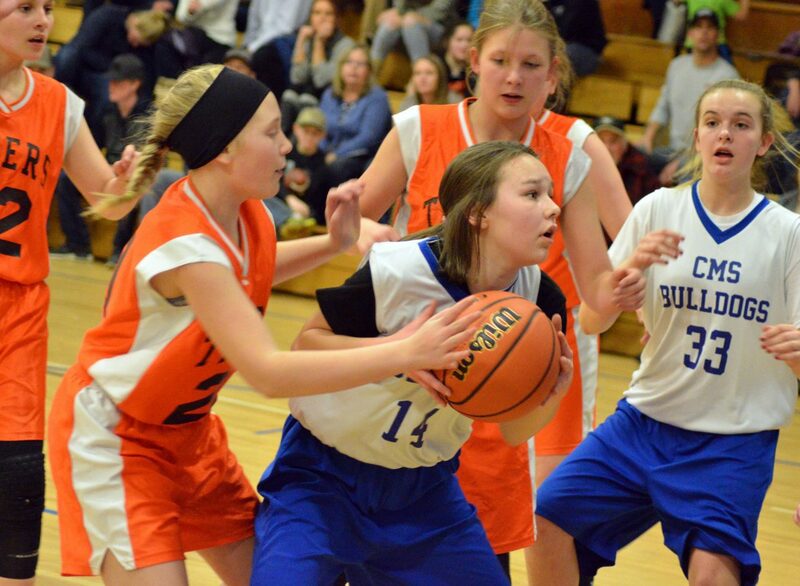 Craig Middle School's Abby Martinez regains the ball against Hayden. 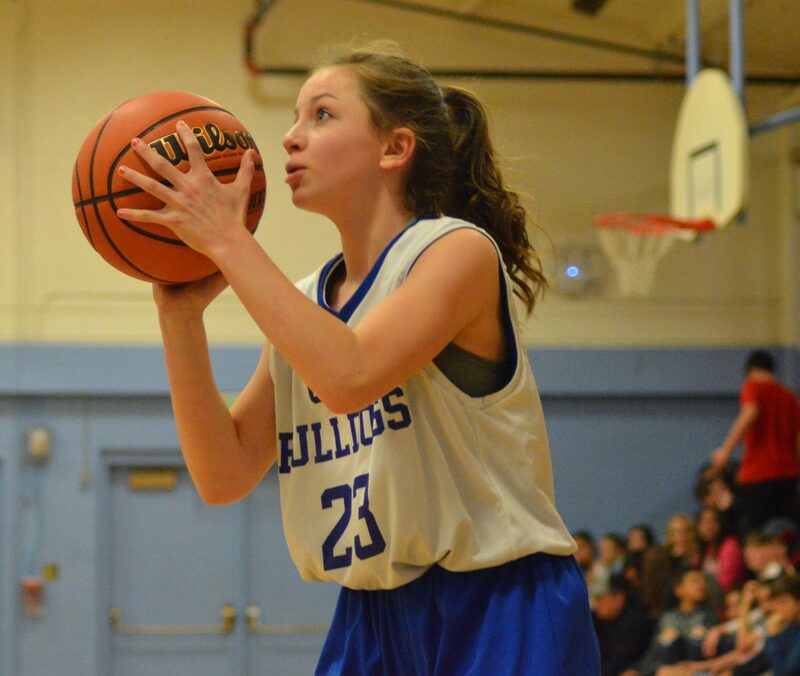 Craig Middle School's Katie Jo Knez dribbles before shooting a free throw against Hayden. 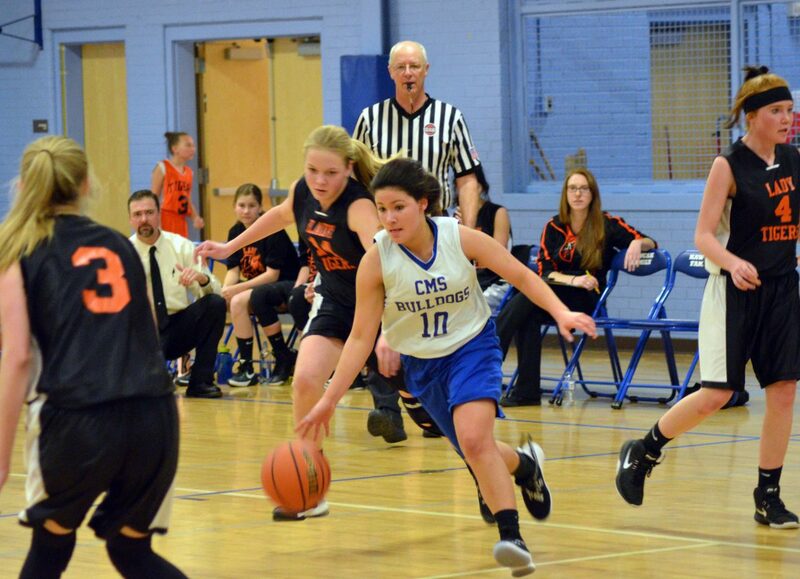 Craig Middle School's Antonia Vasquez looks to make a fastbreak count against Hayden. 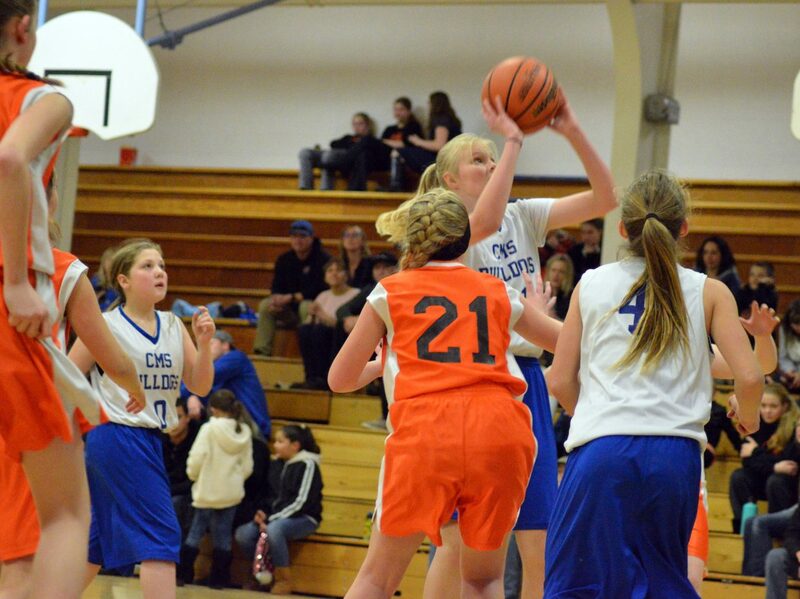 Craig Middle School girls basketball tips off against Hayden. 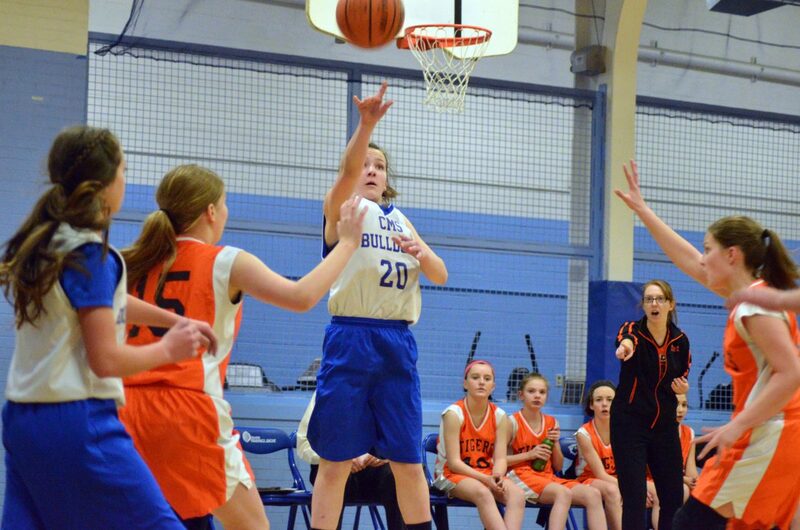 Craig Middle School's Kiersten Chambers shoots a layup against Hayden. 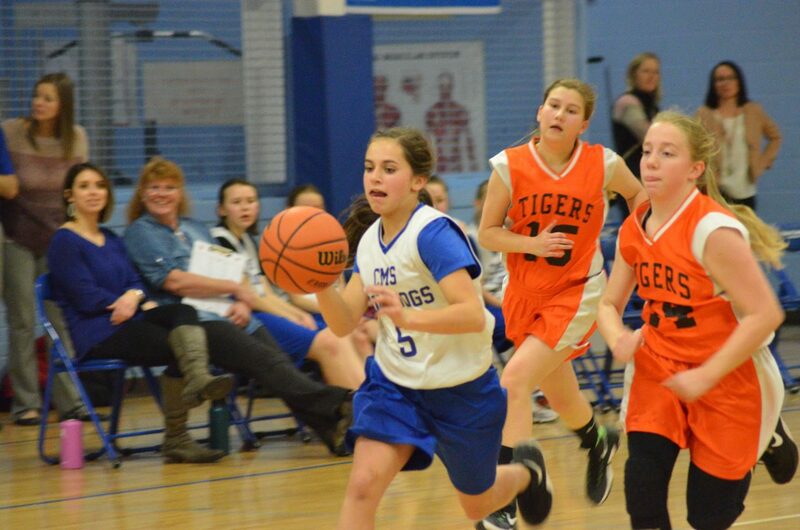 Craig Middle School's Cayden King hustles along the sideline against Hayden. 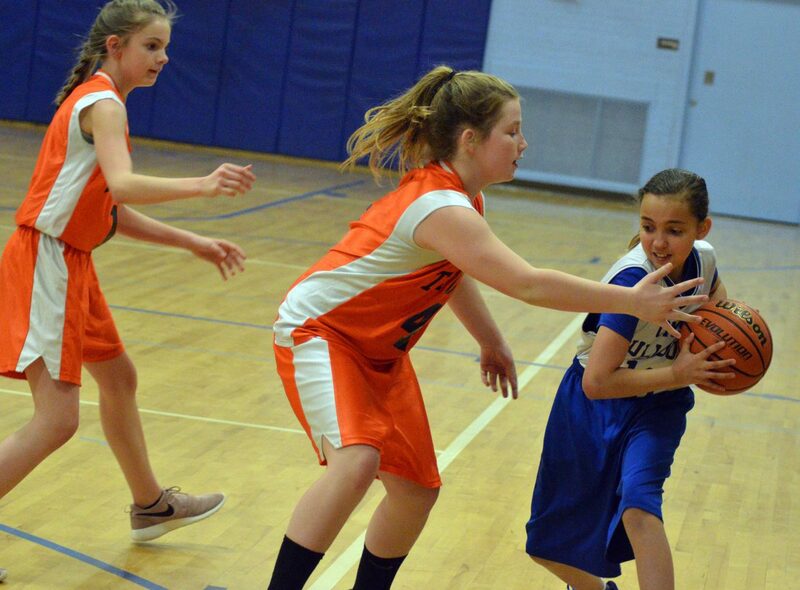 Craig Middle School players fight for a rebound against Hayden. 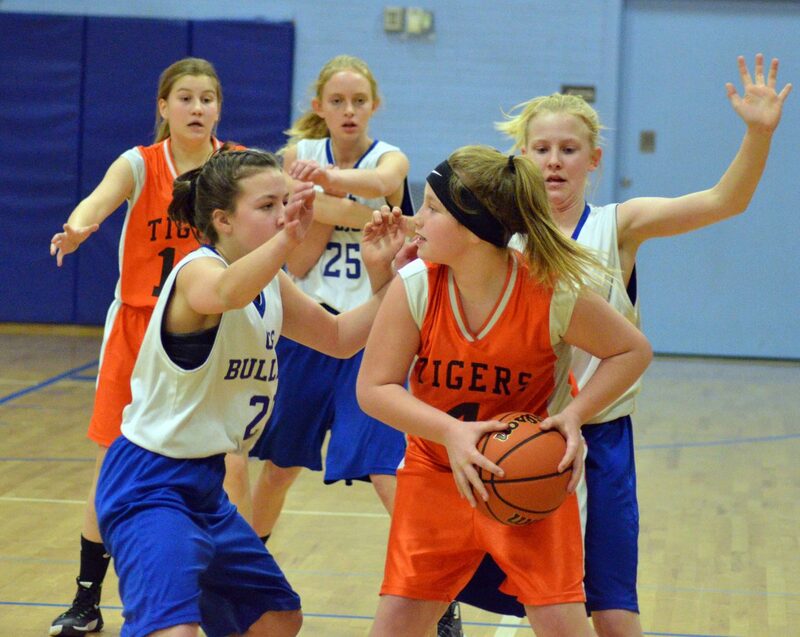 Craig Middle School's Avery Atkin and Joslyn Bacon stay on the defensive against Hayden. 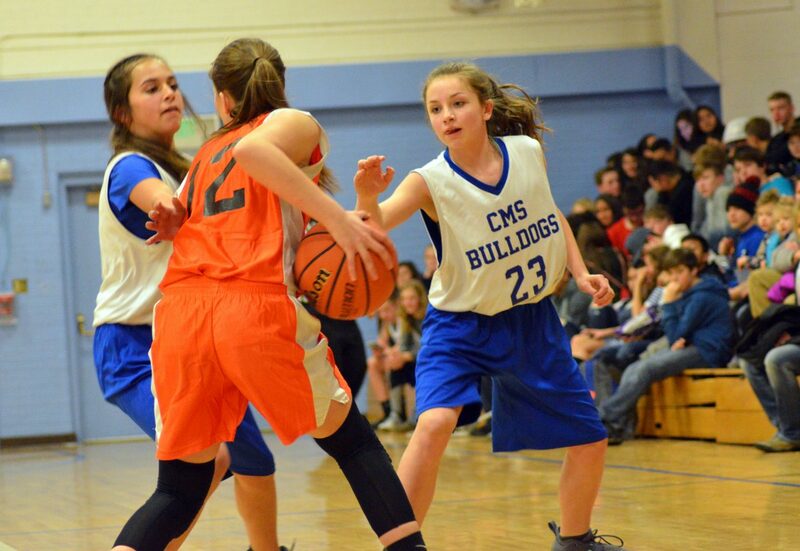 Craig Middle School's Marlee Fedinec pushes back against Hayden's defense. 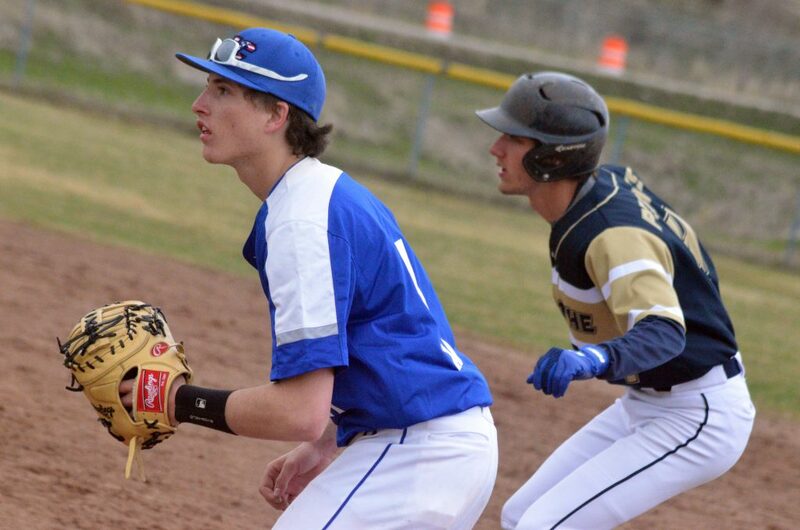 Craig Middle School's Quincy Lowe considers a shot against Hayden. 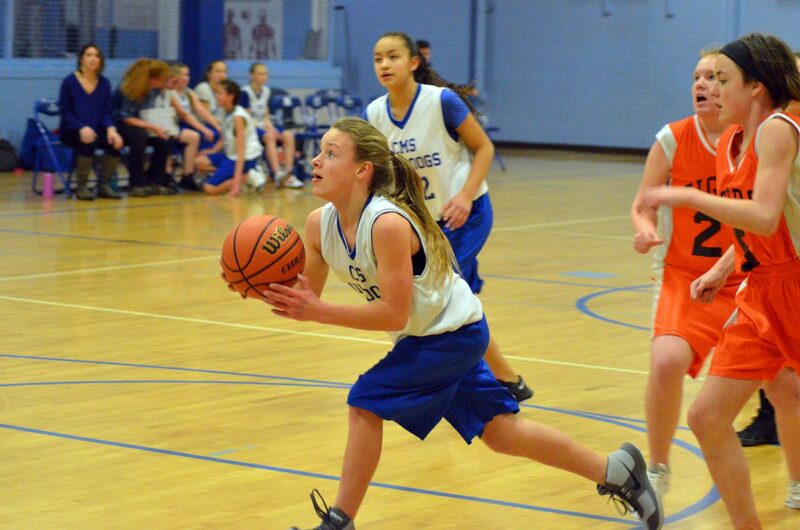 Craig Middle School's Abby Martinez has little opposition heading to the hoop against Hayden. 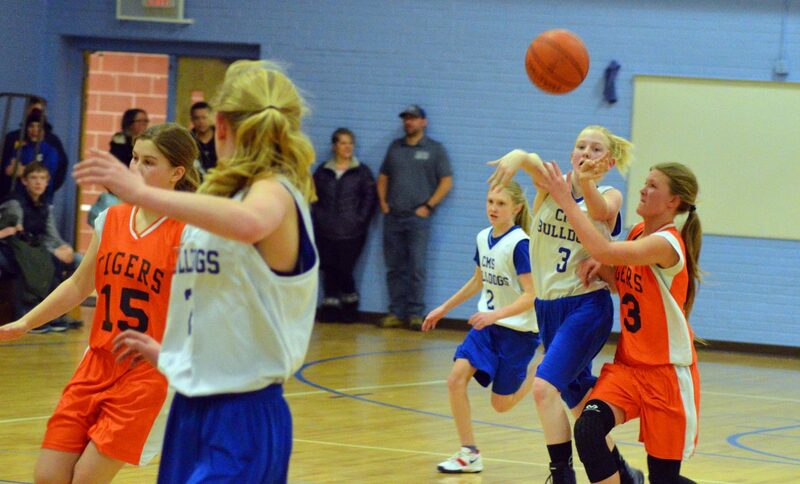 Craig Middle School's Alexis Jones angles to get in the inbound pass against Hayden. 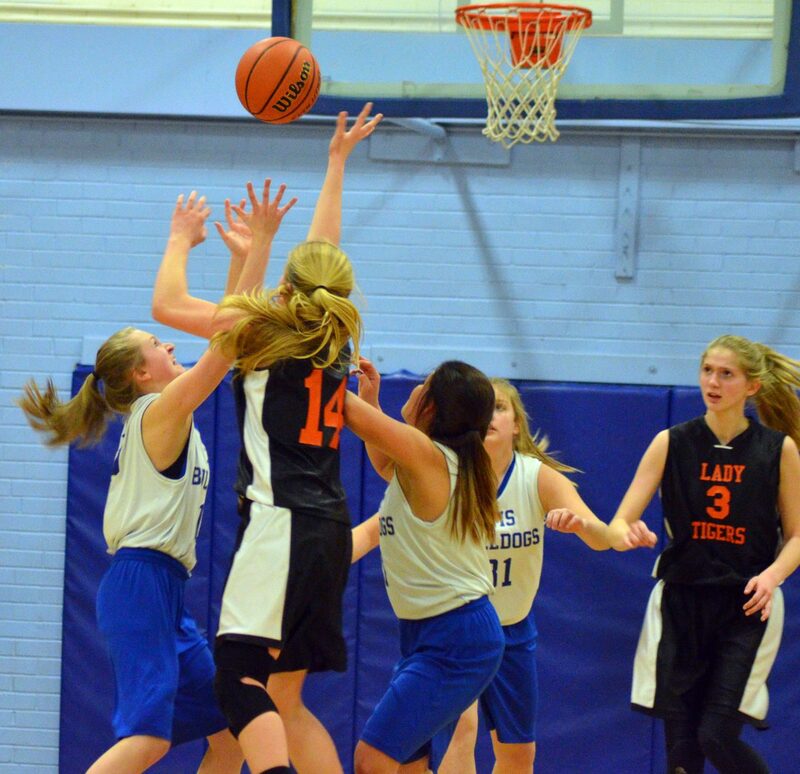 Craig Middle School's Katie Jo Knez chucks a long pass against Hayden. 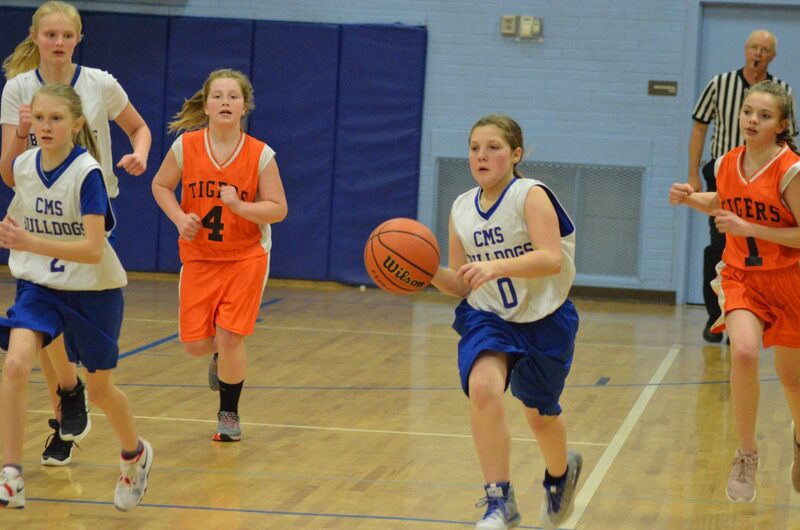 Craig Middle School's Shey Wait cuts through the Hayden defense. 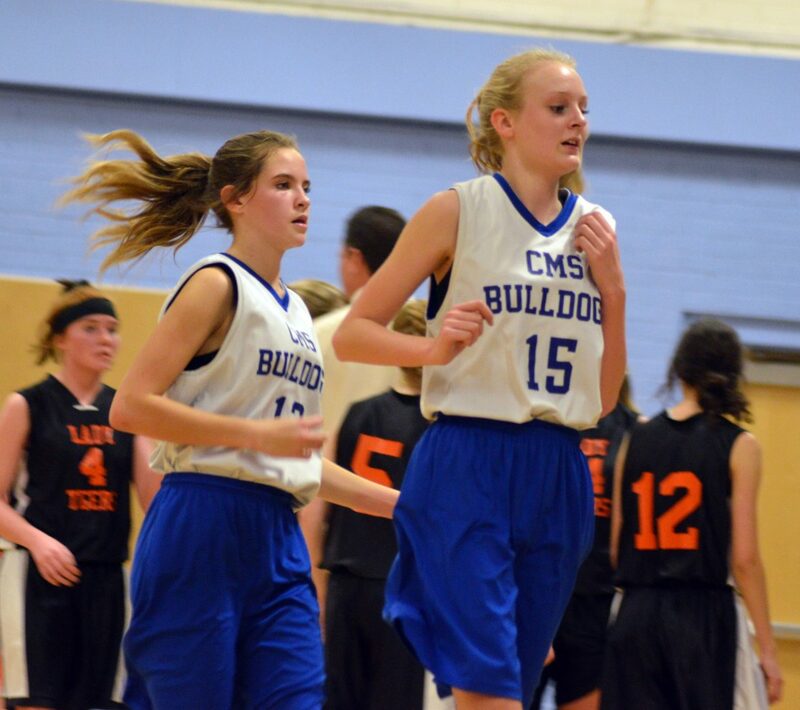 Craig Middle School's Cayden King and Sadie Smilanich rush to the bench during a timeout against Hayden. 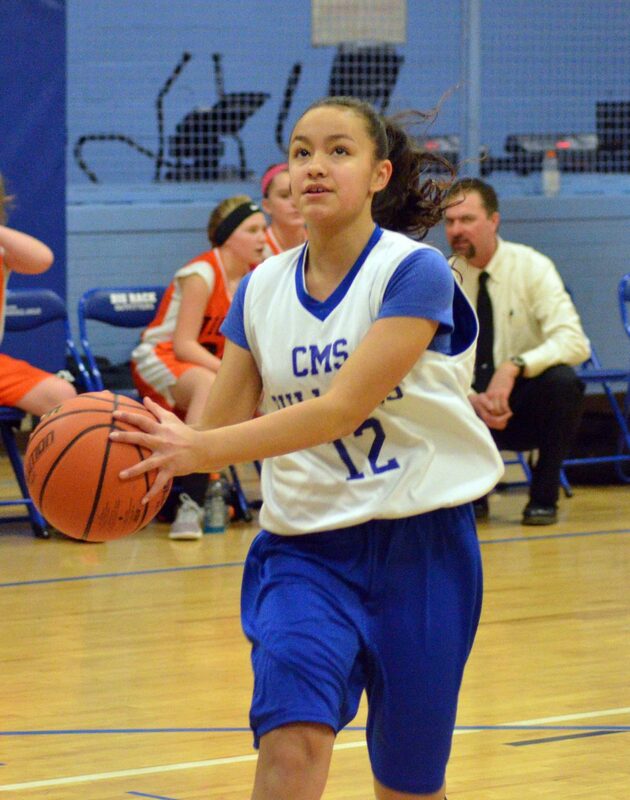 Craig Middle School's Alexis Herndon prepares to box out against Hayden. 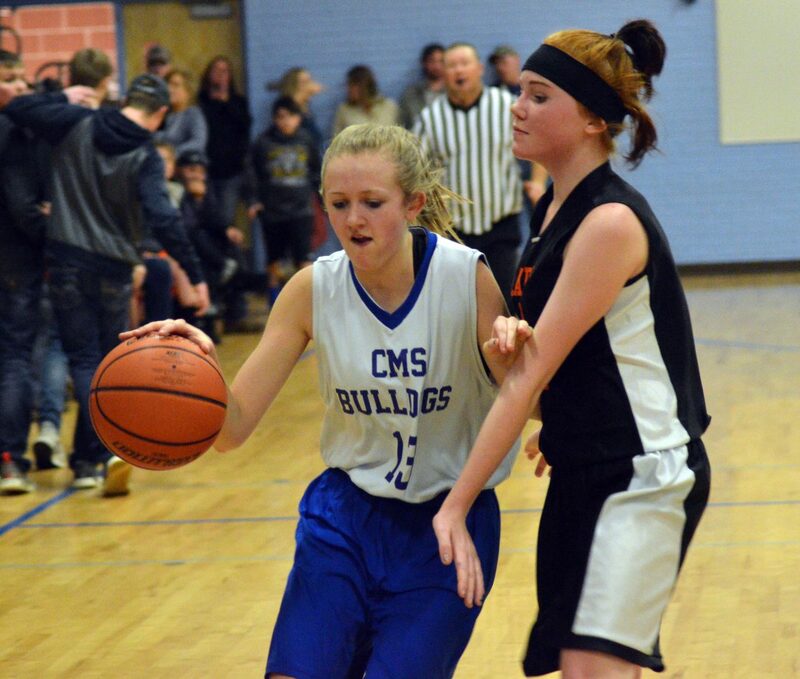 Craig Middle School's Hannah Crookston works to tear away the ball from Hayden. 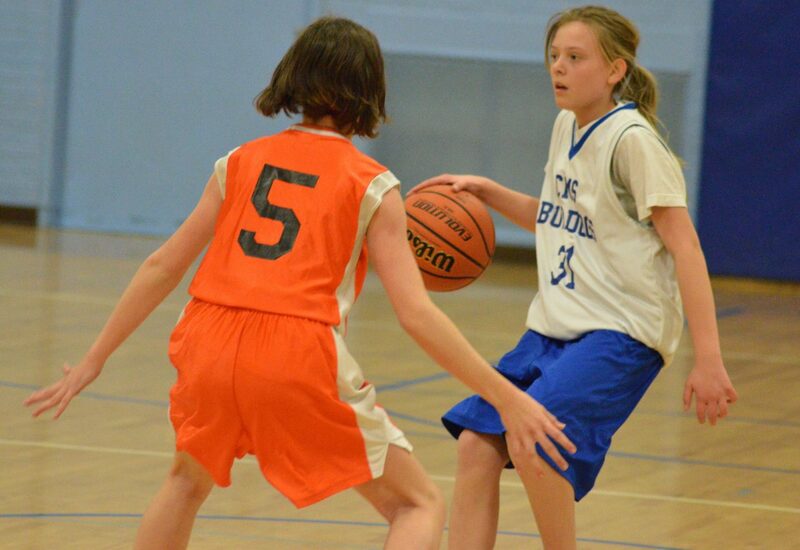 Craig Middle School's Marlee Fedinec looks to gain a steal against Hayden. 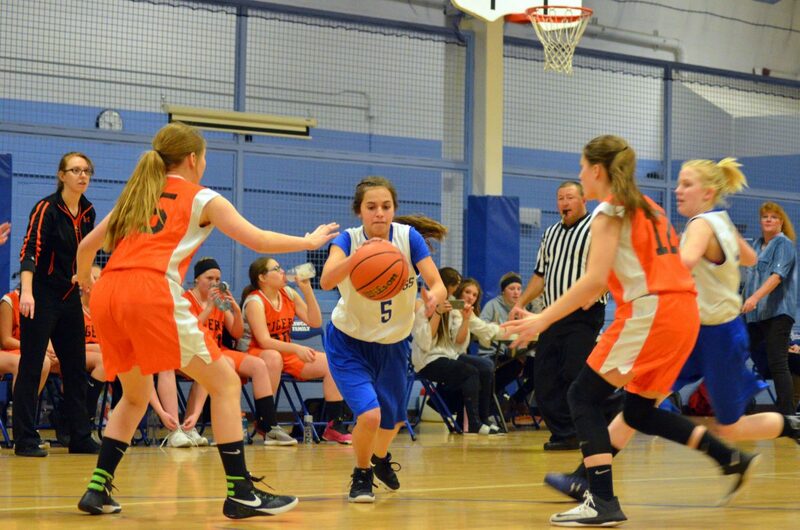 From left, Craig Middle School's Avery Atkin, Emelia Tucker and Katie Jo Knez swarm defensively against Hayden. 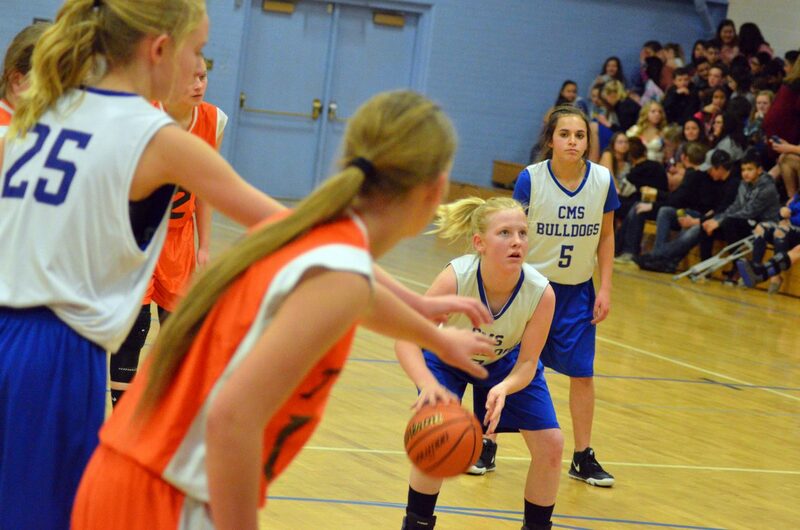 Craig Middle School's Val Teeter guards the ball against Hayden. 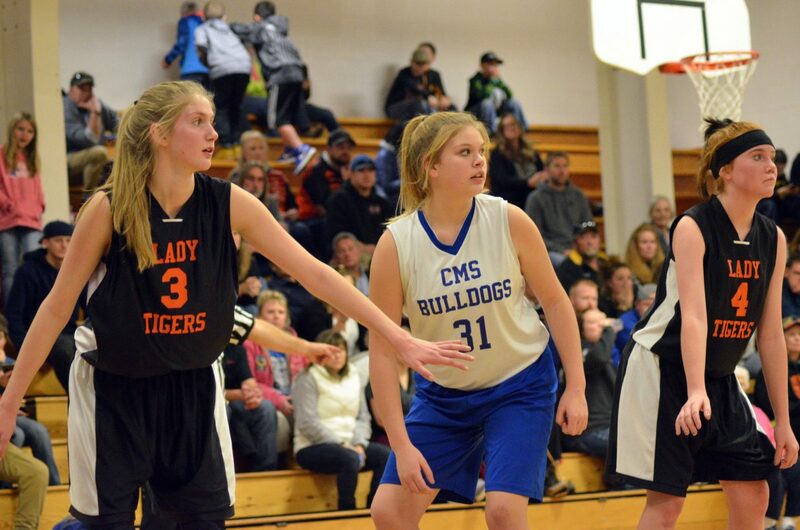 Craig Middle School's Kirsten Peed looks to make a move at half-court against Hayden. 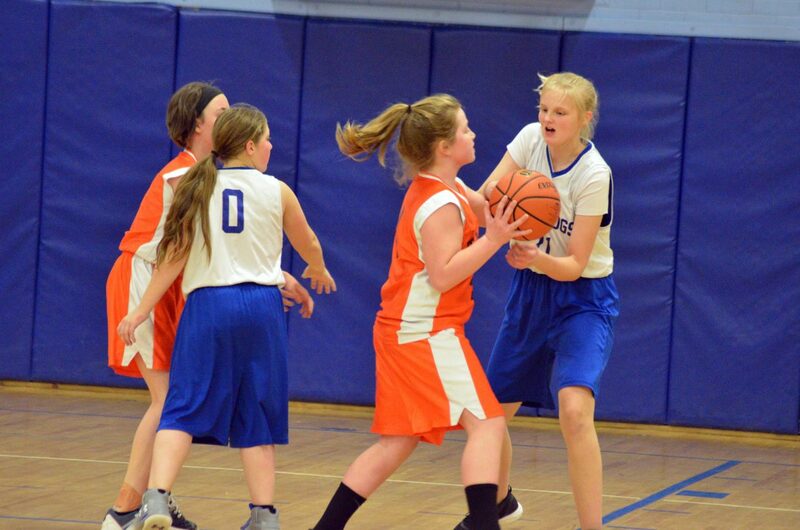 Craig Middle School's Katie Jo Knez fakes a pass against Hayden. 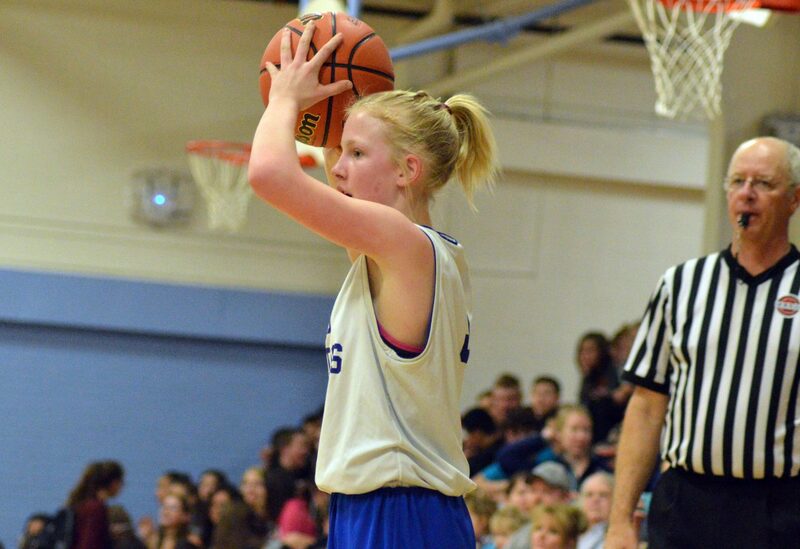 Craig Middle School's Avery Atkin shoots from the arc against Hayden. 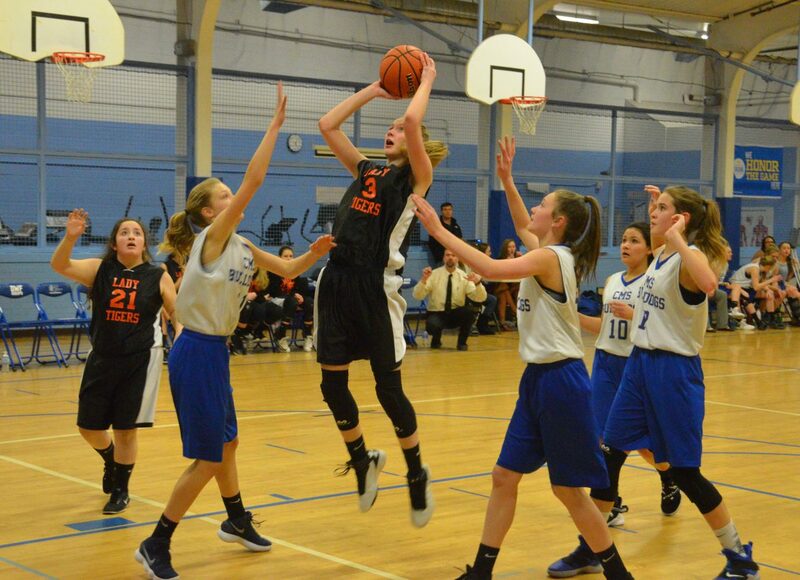 Craig Middle School's Lizzy LeWarne shoots from the low post against Hayden. 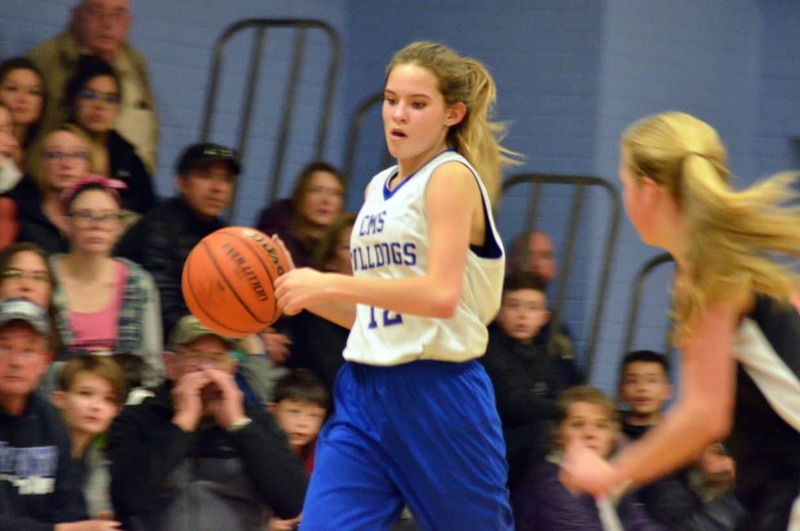 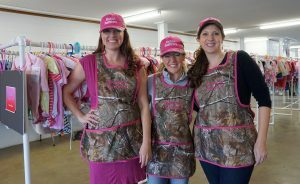 With only a minimal amount of home basketball games slated this season, Craig Middle School girls are making matches count on their home floor. 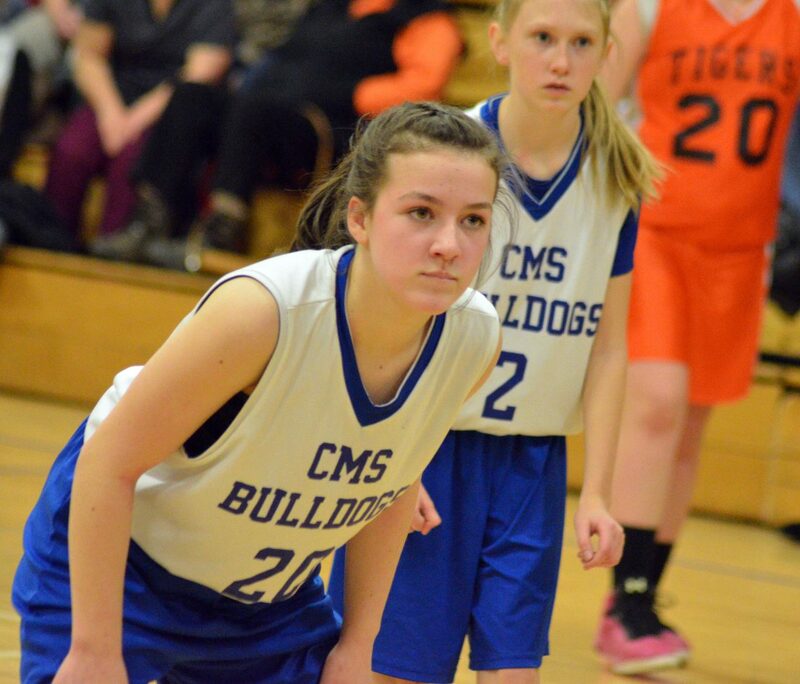 CMS swept Hayden during three games Jan. 24 in Craig, as eighth-graders shut down the Tigers 34-21, followed by Bulldogs’ seventh-grade A- and B-Teams winning 39-6 and 28-0. 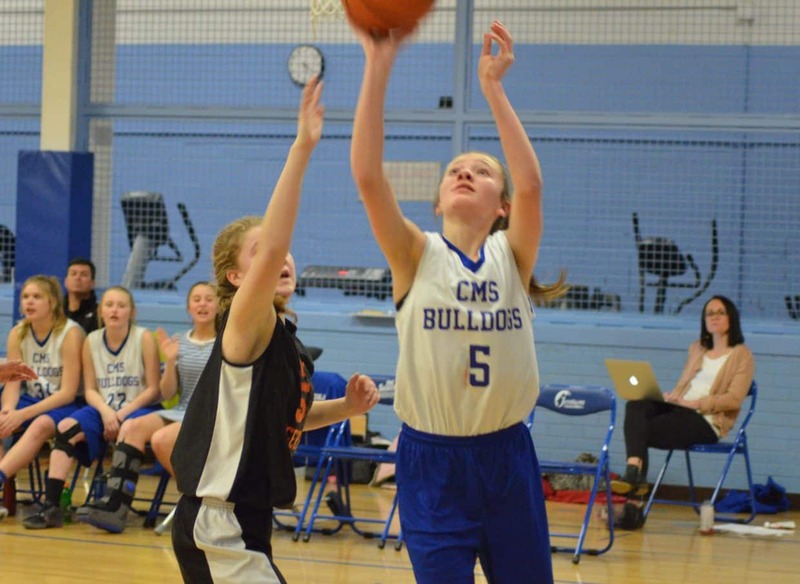 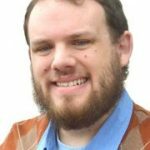 CMS hosts its final home events at 5 p.m. Jan. 31 with games against Meeker, followed during the weekend with Saturday’s Eagle Valley Middle School Shoot-Out.